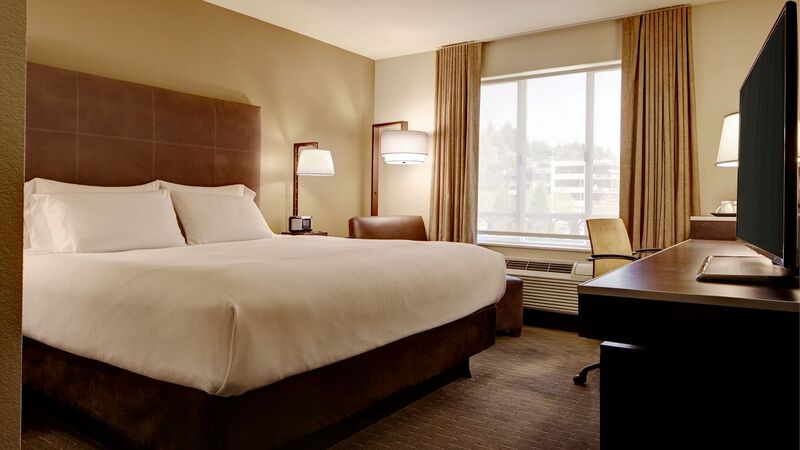 Set in Bellevue, WA, our hotel offers residential-inspired rooms and suites designed for both long-term stays and weekend getaways. 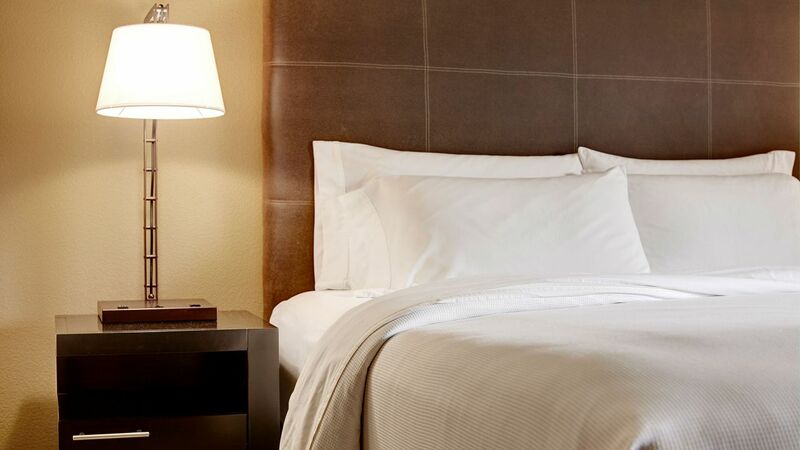 You’ll settle right in to our spacious rooms featuring plush Hyatt Grand Beds®, a flat panel TV, and modern lifestyle amenities. 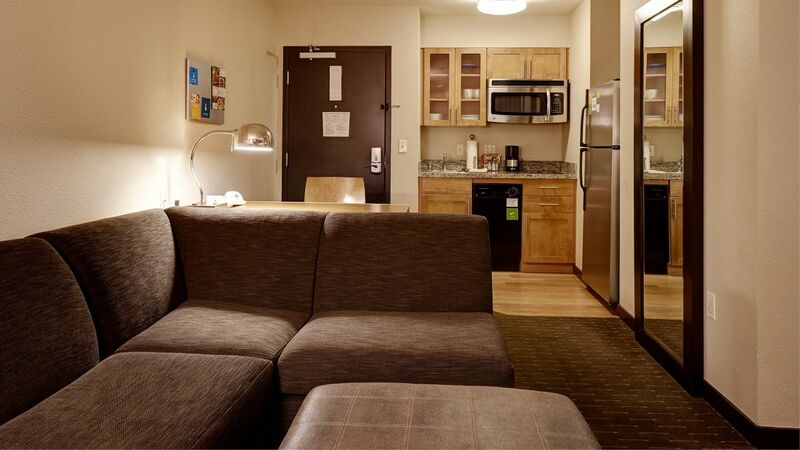 Stay in one of our studios or suites to enjoy a full kitchen (no oven) and sofabed (in select suites). 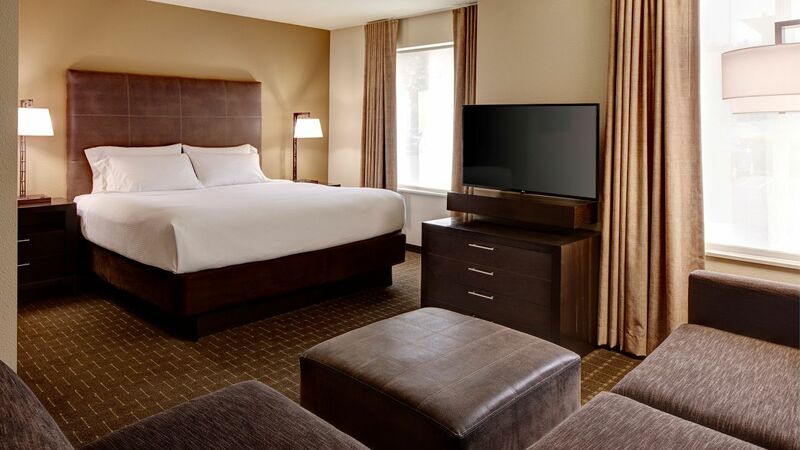 Unwind within this 304-square-foot room featuring one king Hyatt Grand Bed™, a spacious work desk, and a minifridge. Grab some much-needed rest in this 354-square-foot room with two queen beds and a spacious work desk along with a minifridge and microwave. Spread out in a studio suite with one king Hyatt Grand BedTM, a spacious living area, and a full kitchen (no oven), set amid 375 square feet of space. Relax in a spacious studio suite featuring a 375-square-foot open floor plan with one king bed, a living area with sleeper sofa, and a full kitchen (no oven). Unwind in this spacious 517-square-foot suite with one king bed, a separate bedroom area, a living room with sleeper sofa, and a full kitchen (no oven). 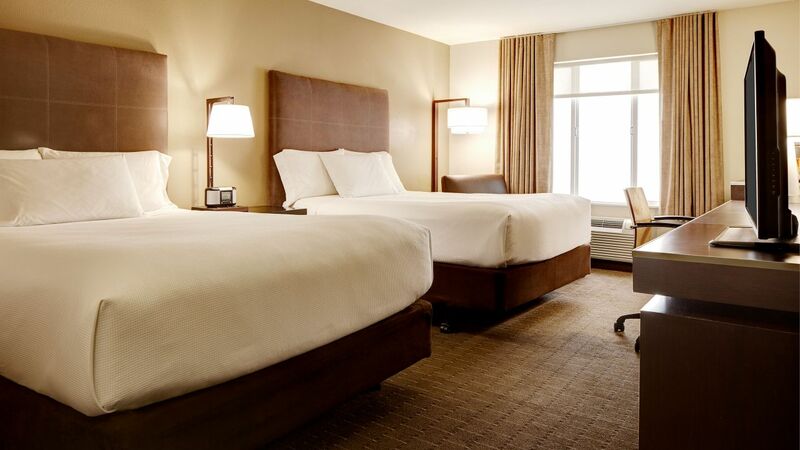 This 304-square-foot ADA room features one king Hyatt Grand BedTM, a roll-in shower, and a spacious work desk. 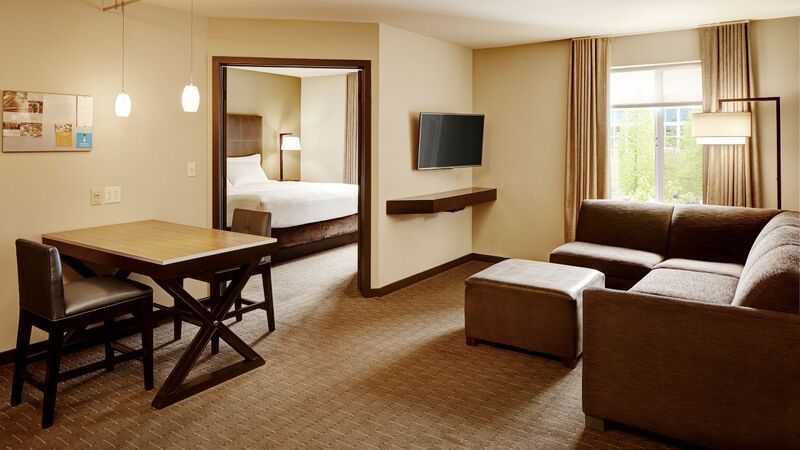 Relax in an ADA room featuring 354 square feet with two queen beds, a roll-in shower, and a spacious work desk. Unwind in this 375-square-foot ADA studio suite with one king bed, a sleeper sofa, and a full kitchen (no oven). Spread out in this ADA studio suite boasting one king bed, a sleeper sofa, and a full kitchen (no oven), all set within a 375 square foot open floor plan. This 517-square-foot suite features a separate bedroom with one king bed, a spacious living area, and a full kitchen (no oven).